Volkswagen Touran Boot Space, Size, Seats | What Car? The door pockets will each hold a 1.5-litre bottle and there’s a cubby recessed into the base of the dashboard that is ideal for stowing a phone or wallet. There are two fixed cupholders behind the gearstick, a shallow storage area on top of the dash under a flip-up lid and a sizeable glovebox. There’s even a net pocket in the passenger side footwell that’s handy for documents, as well as a few small storage areas in the roof. Those in the front are treated to plenty of head room and about the best leg room in the class. 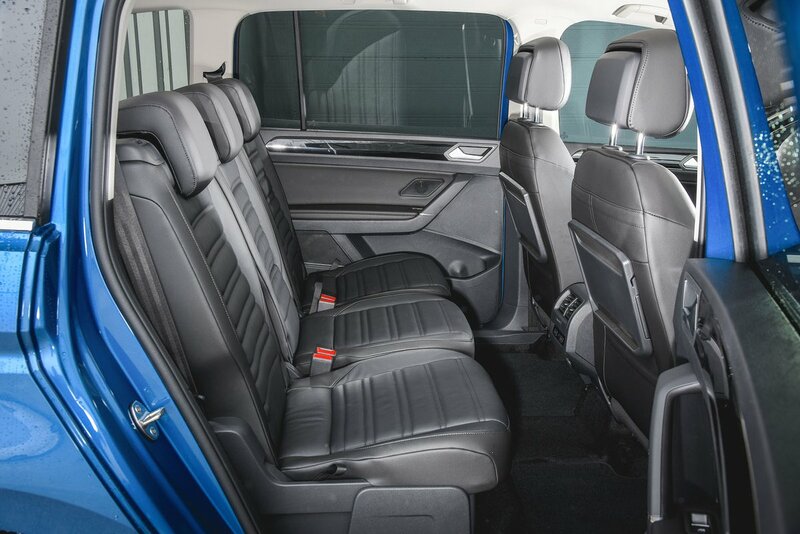 The Ford S-Max is noticeably wider, but you still don’t feel short of elbow room in the front of the Touran. Access is very good, thanks to doors that open wide to create broad apertures and high-set seats that are easy to get in and out of. 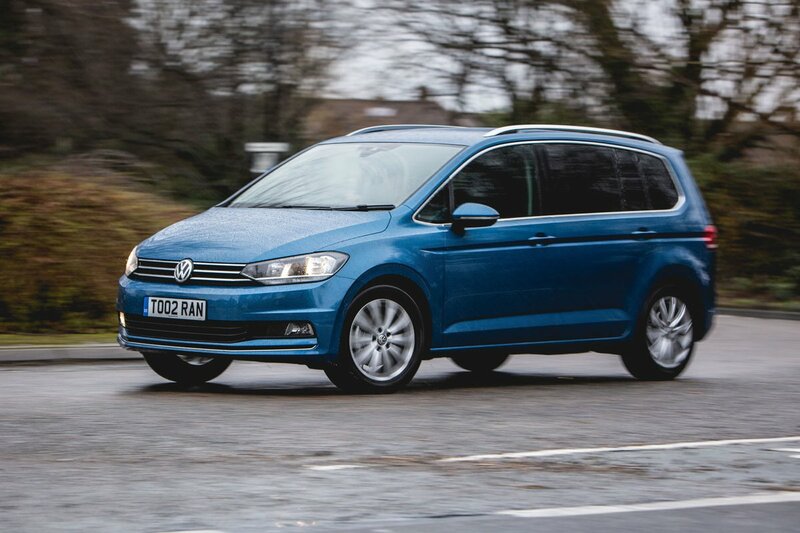 The Touran has three identical-sized second row seats that are easily accessed through the wide-opening doors; you won’t need to bend down far to access child seats. There’s more space in the second and third row of the Touran than in most rivals, too. Two tall adults will be comfortable in the second row and the flat floor means even three sitting side-by-side won't feel too densely packed. The door pockets are big enough to take a 1.0-litre bottle and all but entry-level S models get pockets and folding picnic tables on the backs of the front seats. Average-sized adults will be comfortable even in the third row, where two can sit with plenty of head room – even if you go for the optional panoramic glass roof. Access is excellent, thanks to middle-row seats that tilt up and forward easily to leave a decent gap to clamber through. Oddly, the cupholders in the rearmost seats are placed on the left side of the car only, which might cause squabbles if you have two children in the back. 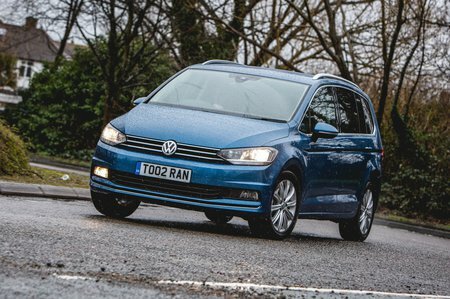 Also unusual, and rather impressive, is that the Touran has Isofix fittings on all of its rear seats – including those on the third row. The second-row seats are easy to slide forwards and backwards independently of one another, and it’s a straightforward job to fold them flat. It only takes one hand to tilt an outer seat forward for access to the third row and it returns to its original position when you're done. Many will opt to keep the third row seats folded away into the boot floor, but pulling them up can also be achieved with one hand and it takes just as little effort to fold them away again. The front passenger seat has height adjustment and, on SE trim upwards, manual lumbar adjustment. Go for SE trim or above and you'll also get a front passenger seatback that can be folded down flat, allowing you to carry seriously long items – even some ladders will fit. The Touran’s boot is better than that of its direct rivals. It's deep and wide, and has a low lip for easier loading of bulky items. The floor is flat and flush with the lip and, if you fold the third row seats away, there's a completely flat floor with no big gaps for anything to fall down. There’s also an underfloor storage area for the loadbay cover, which is hand when you want to fold down both second and third-row seats for a van-like luggage area. There are four lashing points and a 12V socket in the boot as standard across the range. You can add a net partition and a removable, rechargeable torch as an optional extra. A powered bootlid is an option across the range.